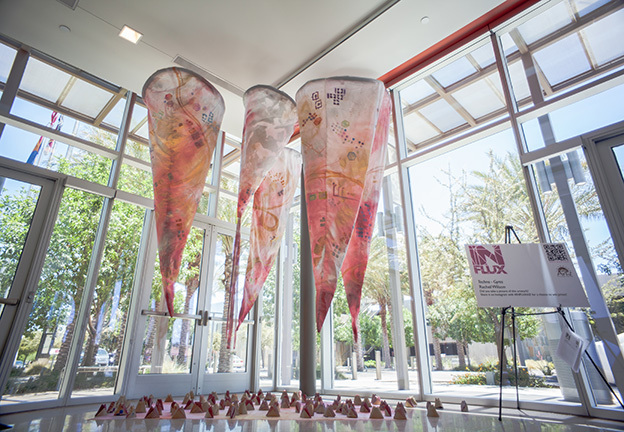 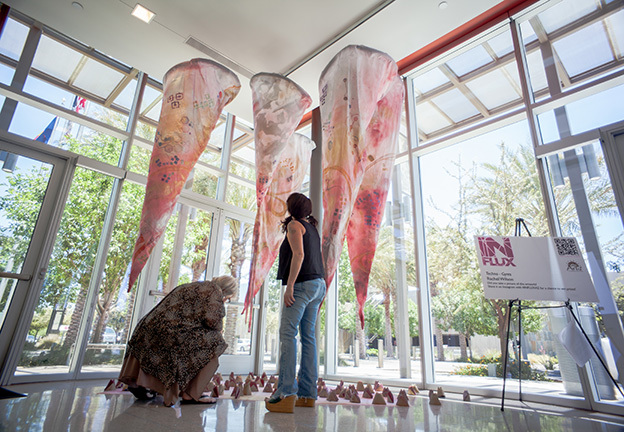 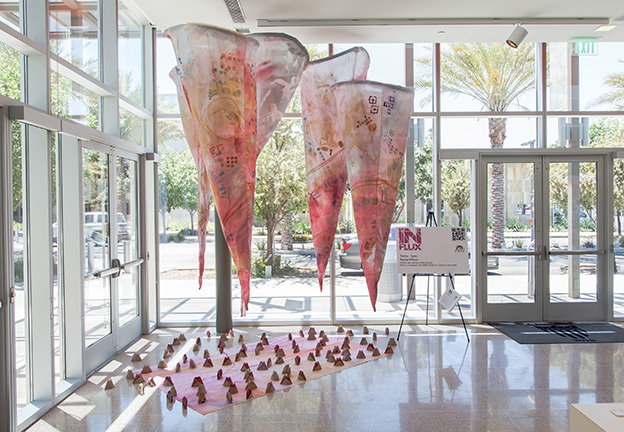 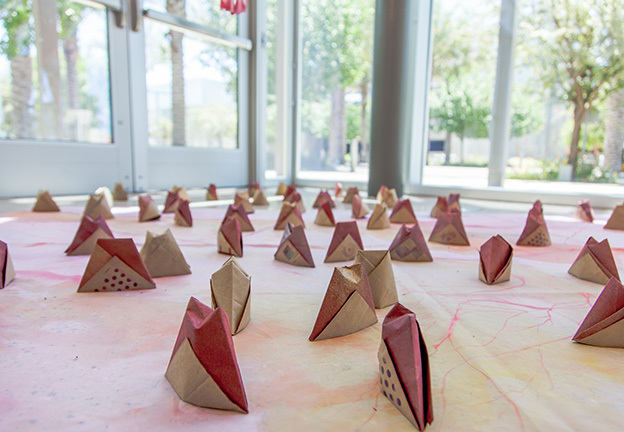 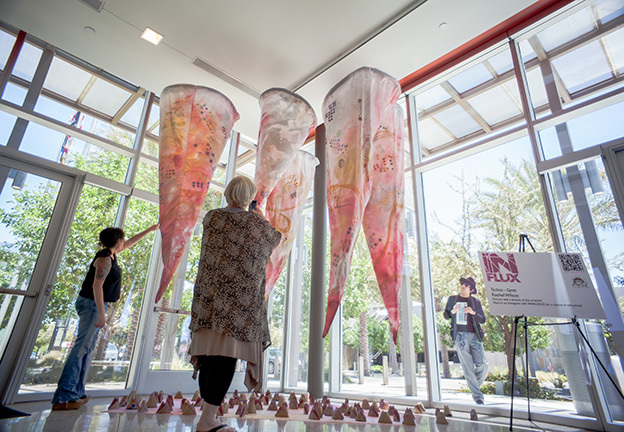 For her IN FLUX installation, Rachel Wilson was inspired by the contrast of the natural desert environment with the man-made rectilinear forms of the new homes, streets, and buildings in Chandler. 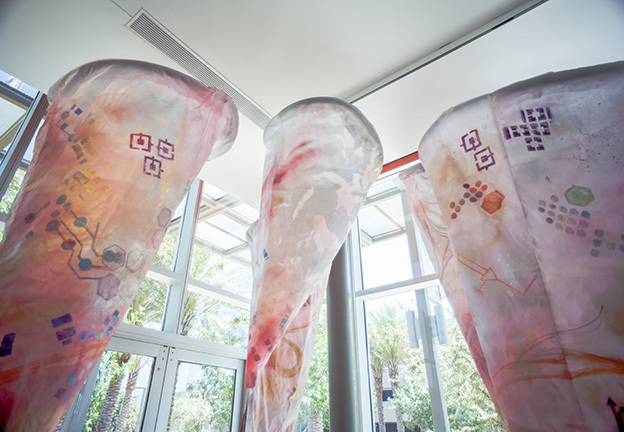 In her piece, Techno-Gyre, she created five funnel-shaped, swirling vortexes, or gyres, patterned with painted circuit diagrams. 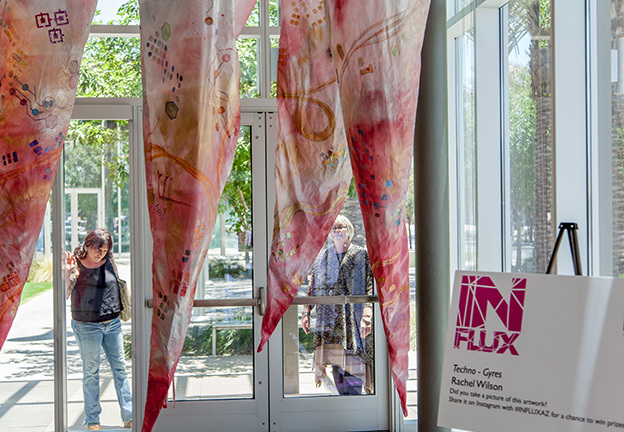 The naturally powerful shape of the gyres swirl together the drama and luminosity of lights, the repeating lines of electrical diagrams, maps and interchanges, and the patterns of modern urban life. 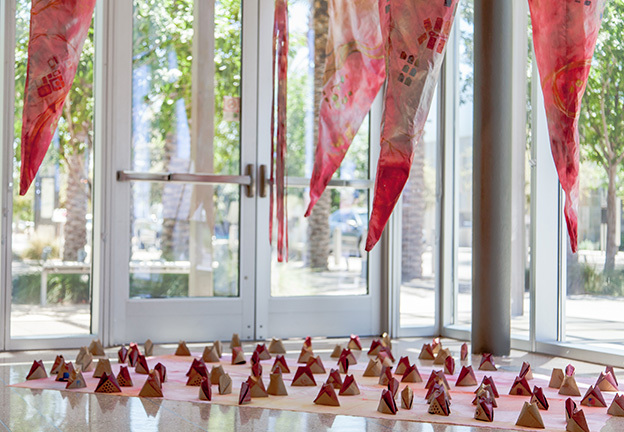 At the feet of the gyres lie piles of inflated paper lunch bags painted with luminous grids and buttons, suggesting both the natural swirl of dust around a dust devil, and the froth of ideas in new technology fields.